The names with stars* besides them are Limited Edition lipsticks. 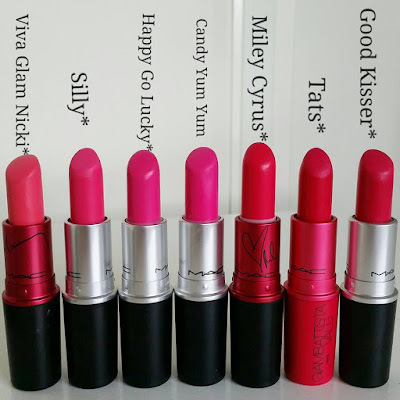 I used to love pink lipstick that's why I have quiet a lot of them. I suppose pink is the easiest color to wear and the one you can find the most in stores. 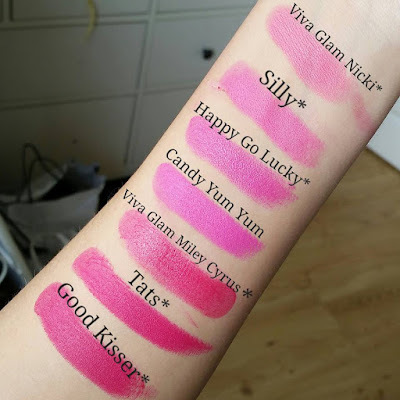 The color range and shades for pink are truly endless and even tho I have pink lipsticks from different brands they are never the same color. 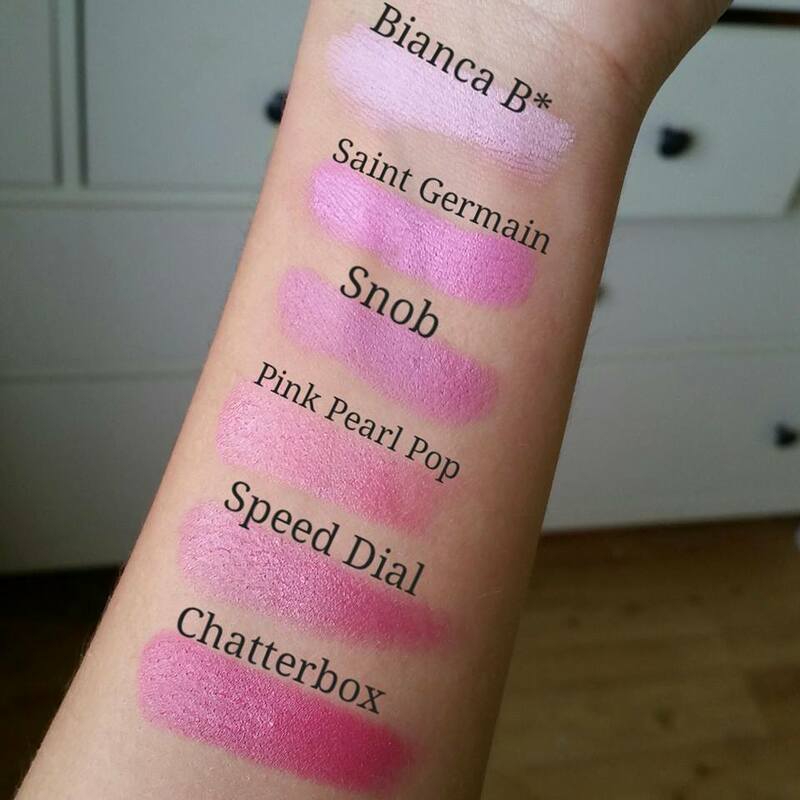 My favorite from these would be Snob and Speed Dial with Chatterbox would make the top3. First thing I can address is about Bianca B* it was limited edition lipstick with a gorgeous packaging and I honesty got it for the collection purposes not because as you can see it is extremely light colored and Id rather prefer my lipsticks darker than lighter. I know I can use it for layering but ain't nobody got time for that. Pink Pearl Pop would be great for someone who doesn't want a lot of color or just for a natural day look, you can build it up as well, to a bit stronger color. 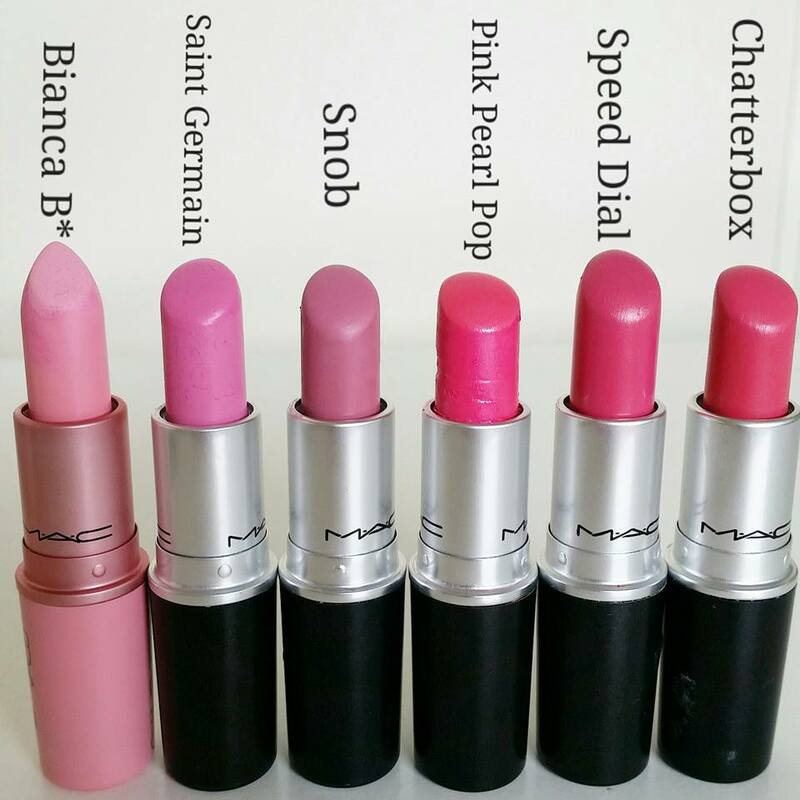 Anyone feeling to go a bit bolder and brighter with pink these are perfect, but unfortunately only lipstick that isn't limited edition is Candy Yum Yum, so that's why Ive got more to share in the next round up of pinks. 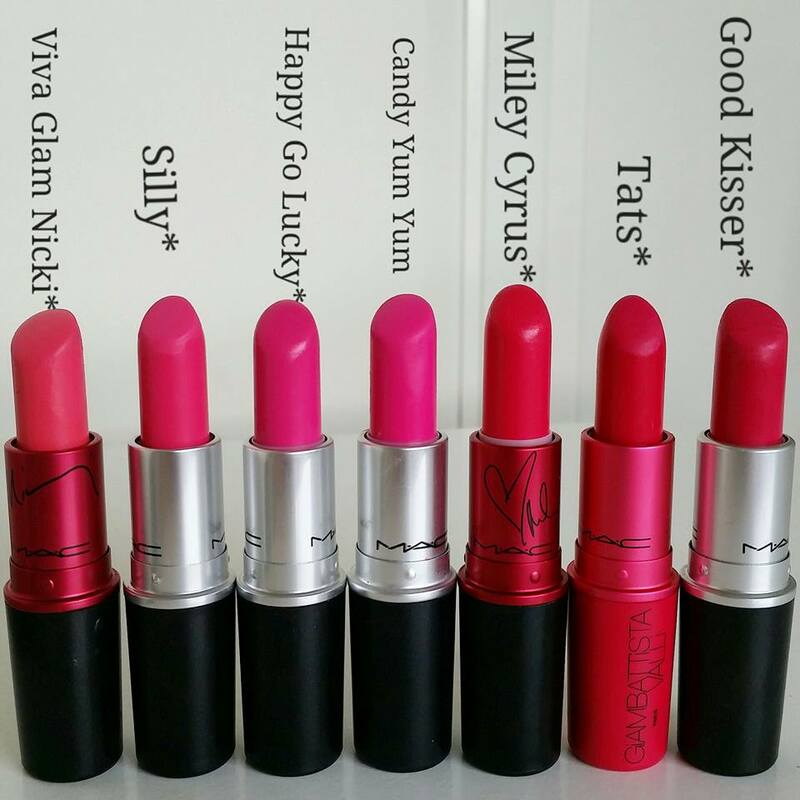 Love, Love,Love these darker pinks. 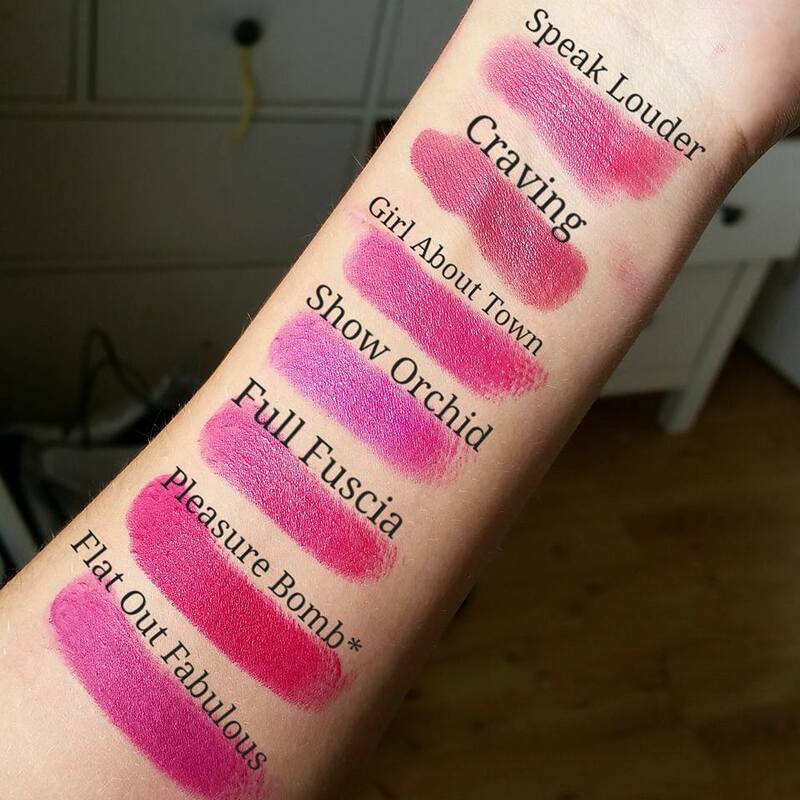 My faves are Craving, Girls About Town, and Flat Out Fabulous. Only thing is Flat Out Fabulous can be drying especially if you already have dry lips and in colder weather as it is retro matte finish. 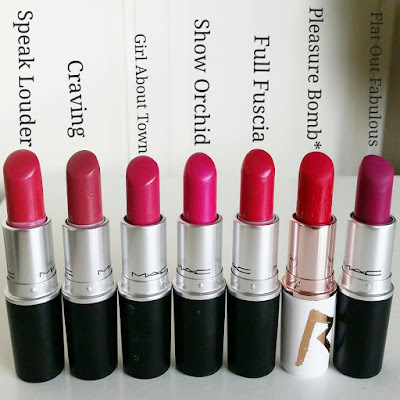 As I have mentioned before my most favorite finish from Mac is Amplified as it is really pigmented, lasts on lips and doesn't dry them out since it has a bit of moisture in it. 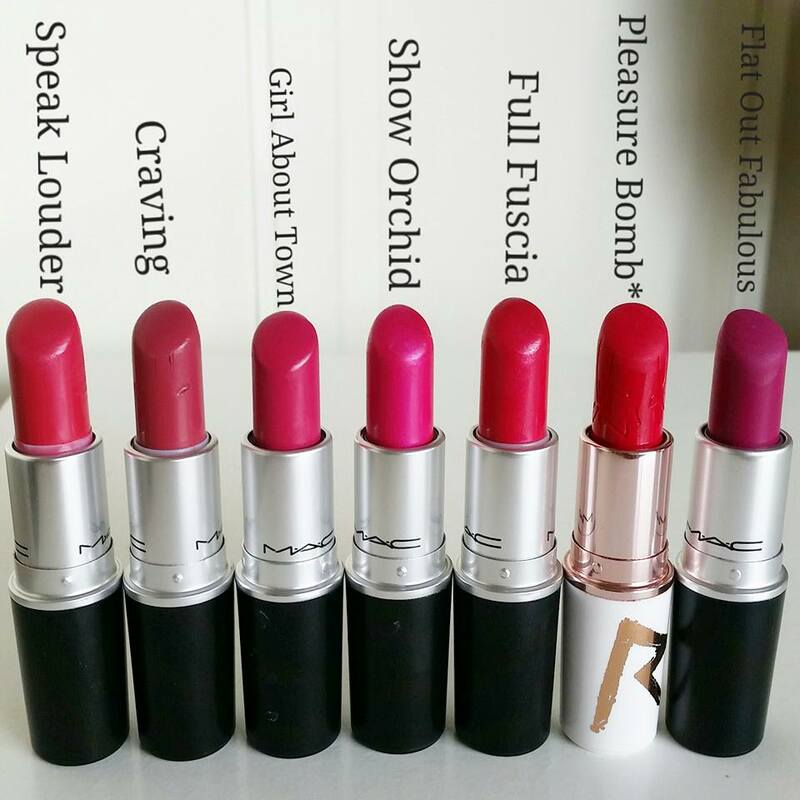 If you want a bold color without drying out your lips go for Amplified finish lipsticks.